Tornado damage is incredibly emotional. Here are some tips for staying safe during a tornado and beginning the process of putting things back together once the skies clear. Storms often bring rain and high winds, but sometimes we unfortunately get something even more severe. Tornadoes can cause a level of destruction that our area is not used to, and which can be devastating to local residents, businesses, and the community. While the destruction that tornadoes leave in their wake will take time to recover from, we wanted to put together some tips for keeping yourself safe during a tornado and for recovering after the skies clear. What's the difference between a Tornado Warning and a Tornado Watch? Homeowners and residents are often confused by the difference between Tornado Warnings and Tornado Watches. Here's what you need to know. Tornado Warning: In cases where a tornado has developed or radar has indicated that the formation of a tornado is imminent, a Tornado Warning will be issued. In cases where a Tornado Warning has been issued for your area, it is advised to seek immediate shelter to ensure the safety of yourself and your family. Tornado Watch: A Tornado Watch is issued when the weather conditions are favorable for the development of a tornado and are intended to make residents aware so that they can use appropriate caution. Should the conditions change, this will be escalated to a Tornado Warning. Get to a safe place: Go to the basement or an interior room on the lowest level that does not have windows such as a bathroom, closet, or hallway. Mobile homes do not offer a safe place during a tornado, so it is always recommended to seek shelter in a permanent structure such as a neighbor's home, community center, or school. Stay there: It can be tempting to see what's going on, but most injuries during a tornado are caused by flying debris. Once in a safe place, away from doors and windows, stay there until the storm passes. Get under something: Is there a sturdy table, work bench, or desk in your safe place? Get under it and cover your head with anything you have available. This can protect you from falling or wind driven debris. Contact your insurance company immediately: While contacting your insurance company and reporting a claim is important, it is also a good idea to contact your Local Insurance Agent as well. Your insurance company is generally able to release some funds to you immediately to help with things like additional living expenses and meal costs. Sometimes, if your insurance company's claims department is unable to adequately handle the volume of calls they are receiving, your insurance agent may be able to assist you in navigating the process and getting situated in temporary housing (hotel, rental, etc.). Save all documentation and receipts: Did you have to pay for a hotel or meals? Did you need to have a contractor tarp your roof or board up your windows? Save these receipts and invoices so that you can submit them to your insurance company for later reimbursement. Don't forget the Water Damage: Often, homeowners are so focused on the wind and storm damage that they don't even think about the water that is now seeping into their home. It's important to act quickly to prevent further, subsequent damage to the property. Contact a contractor that is able to tarp your roof to prevent rain and moisture from continuing to enter the property. A local Mitigation and Restoration company should be contacted to evaluate the interior damages and begin the drying process wherever possible. Water Damage can quickly lead to further structural issues and Mold growth, so it is important to begin the process quickly and properly. Many homeowners do not realize, but it is your responsibility (as defined in your insurance policy) to prevent further damage from occurring at your property. Your insurance company will not be looking for or expecting estimates prior to emergency services beginning and may even hold you responsible for additional damages that occur as a result of failing to adequately prevent further damage. As a result, the insurance company will want you to hire a local firm to perform tarping and water mitigation services to prevent the likelihood of additional damage and cost. Many professional Water Mitigation firms are able to not only handle the necessary Water Mitigation services, but also the tarping and boardup services as well! Document property damage: Tornado and storm damage is incredibly emotional, but it's important to document the damages as quickly as possible. Take out your cell phone and begin taking good pictures of the damage to your property (from several different angles). You can even take some video walking around your property so that you can show your insurance adjuster what everything looked like following the storm. It's important to ensure that you stay safe, so do not go near any damaged trees (which could come down unexpectedly), and do NOT enter the home until it has been deemed safe to do so. It will also be important to have a detailed list of damaged content items during the course of your claim so that your insurance company can determine reimbursement. Once the property is safe to enter, you can begin putting together a list of the items that are damaged. Often, your local Water Mitigation firm is able to help you with this process if you have any questions. It is also a good idea to take pictures of these damaged contents so that you can provide this documentation to your insurance adjuster as well. 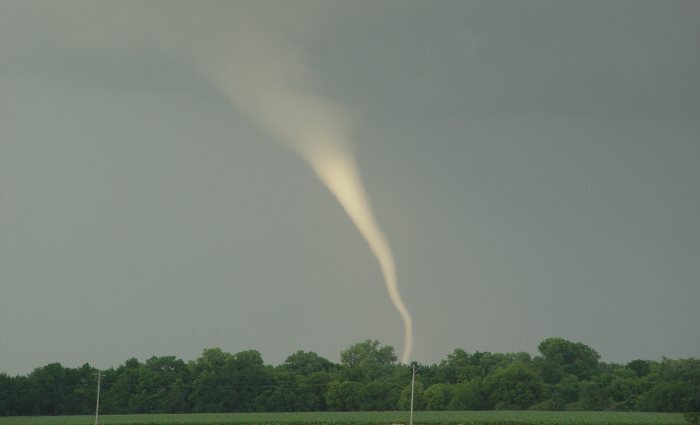 Do you have enough coverage for Tornado Damage? Water Damage: Many homeowners don't realize this, but there are actually insurance policies that ONLY cover damage that results from fire. What this means is that, should you have one of these policies, you may have no coverage for the storm or water damage that your property suffered. We recommend reviewing your policy with your local insurance agent annually to ensure that you are adequately covered in the event you suffer a claim. Mold: Following storm damage, it is common for power to be an issue, which can delay the water mitigation services. While many insurance policies do offer some coverage in the event mold develops as a result of a covered loss, not all do. Check your insurance policy to determine if mold coverage is included in your policy. It may even be a named exclusion! Code Upgrades: The destruction that results from severe storm damage can necessitate significant repairs be made to your home. Some municipalities require that, when such work is being performed, certain things be brought up to code (this can range from electrical to plumbing). If your insurance policy does not include code upgrade coverage, these additional expenses would be your responsibility. This is an important one to look for when reviewing your policy. Replacement Cost vs. Actual Cash Value policies: This is a big one. Replacement cost policies will cover the cost of the work necessary to repair your home at today's market costs (materials, labor, etc.). An Actual Cash Value (ACV) policy on the other hand will only reimburse you the current value of those materials, greatly reducing your insurance company's responsibility. For more on the difference between ACV and Replacement Costs, check out Actual Cash Value (ACV) or Replacement Cost - What's The Difference? Tornado damage is incredibly emotional. Here at Disaster Blaster, we understand that it's your home and getting your life back together is your top priority. It's our top priority as well. Hopefully these tips have been useful to you. As always, if we can ever be of assistance, please do not hesitate to Contact Our Offices. We're always happy to help.